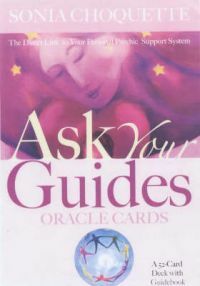 Ask your Guides is a 52-card psychic intuitive oracle deck (with accompanying guidebook) based on the traditional minor arcana of the tarot. The deck is designed to not only guide you, the seeker, through present and upcoming life events and challenges, but will also connect you directly with specific spirit guides and divine helpers who are there to help you navigate these transitions and challenges successfully. 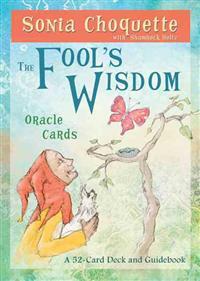 The Fools Wisdom Oracle Cards are designed to accelerate personal empowerment and spiritual growth. The Fool is the universal archetype of our witness self, the eternally objective Divine voice who resides within all of us. He observes and comments on our lives as we journey through the human experience, pointing out what we sometimes refuse to acknowledge. He helps us recognise the folly of living from the ego's limitations when we're meant to live as holy and Divine creative beings. You can seek the Fool's wisdom on any subject at any time. Use these oracle cards to attain personal growth; deeper insights; and clarity into any situation, relationship, decision, interaction, or question you may have. 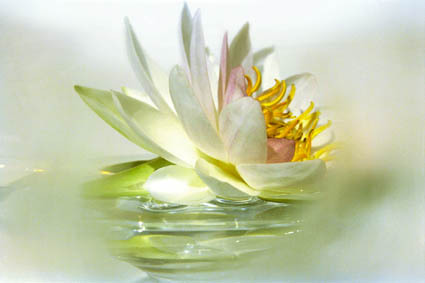 The accompanying guidebook will help you interpret the cards' meanings and spark your own intuition. Consult the Fool's wisdom daily and it will shed light on all the blind spots and shadows that keep you from expressing your highest truth. Each of the Fools carves a pathway to a more authentic life. Through these oracle cards, you'll come to embrace and deeply value your own inner Fool - your Divine witness and wise self.